The groundbreaking film The Breadwinner tells the story of a girl in Afghanistan who disguises herself as a boy to help her family survive. The story is a powerful reminder that millions of girls, in many parts of the world, do not have the same opportunities as boys. Students in the US are rarely introduced to the realities that our fellow global citizens face in other parts of the world. They are not often taught about the gender inequities that persist and the challenges young people – particularly girls – confront. And they are not given the opportunity to develop the skills and confidence to realize their own power to make change - in their own lives and in the world at large. What happens to our fellow citizens affects what happens to us. 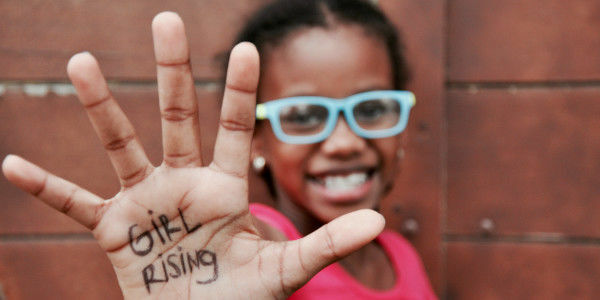 As an organization committed to girls empowerment, Girl Rising believes that we all have a role to play in making the world a better - and more equal - place. We ask you to sign this petition to request that US Governors and State Boards of Education fund global citizenship curriculum that provides greater understanding of gender inequality and inspires students to be changemakers, in their own lives, communities and the world. Curricula like those offered by Girl Rising and The Breadwinner teach boys and girls the power they have to create change, empower girls to stand up and speak out, and instill the belief that boys and girls should be equally valued. These concepts are as critical for girls and boys in the US as they are around the world. Sign this petition to bring global citizenship and gender awareness programs to your state’s schools. Help create transformational change in the way girls are valued – here and around the world. Calling all storytellers! Inspired by The Breadwinner, we’re using the power of storytelling to amplify the message of education and empowerment for girls everywhere. Add your voice and join the #BreadwinnerStories contest! A panel of judges, including Executive Producer Angelina Jolie, Director Nora Twomey, and Author Deborah Ellis, will choose the winners, with one grand prize winner awarded a trip to LA for a special screening.